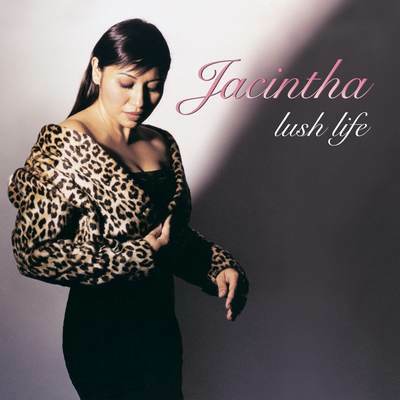 Might as well admit my bias: Jacintha has become one of my favorite living female vocalists. I initially came across her work when my friend Paul Seydor, a senior writer for The Absolute Sound, gave me a copy of her first Groove Note album Here’s to Ben, a tribute to legendary tenor saxophonist Ben Webster. I don’t know which impressed me more: the lushness of her voice or the vividness of her interpretations. My enthusiasm intensified with her second Groove Note album Autumn Leaves:The Songs of Johnny Mercer, which I reviewed. I likened my experience to being the last person in a small jazz club where she creates a direct link among her, the microphone, and the listener. The immediacy is uncommon.The sound of her breathing, which would be intrusive in other singers, is so sensuous that itadds to the beauty of her voice. The perfection of her diction is so palpable that you don’t just hear the words — you feel their significance. Now, in her third Groove Note album Lush Life, she sounds even more sensuous while a new musical background “strings” has been added to what so far has been a compact jazz-group accompaniment. Although jazz and strings aren’t often paired, they can go together nicely. Clifford Brown worked with them. So have Charlie Parker, Ben Webster, Ella Fitzgerald, and Shirley Horn, to name a few great jazz interpreters of the American song book. But these are strings with a difference, thanks to Bill Cunliffe’s remarkable arrangements. A pianist and a composer, Cunliffe received a classical musical education at Duke University before switching to jazz.